Sponsored by the League of Women Voters Winnetka-Northfield-Kenilworth in partnership with the Winnetka-Northfield Public Library District. 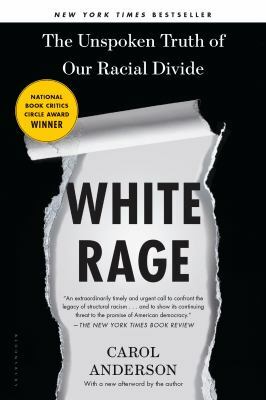 Join in the discussion of New York Times Bestseller White Rage: The Unspoken Truth of Our Racial Divide by Carol Anderson. Copies are available at the library after July 7th. and A Chicago Review of Books Best Nonfiction Book of 2016. From the Civil War to our combustible present, White Rage reframes our continuing conversation about race, chronicling the powerful forces opposed to black progress in America.